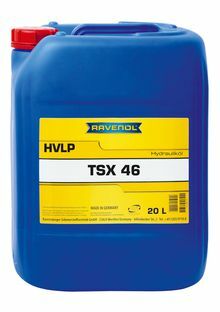 RAVENOL Hydraulikoel TSX 46 (HVLP) is high quality multi-grade hydraulic oil type HVLP based on special selected solvent refined basic oils. RAVENOL Hydraulikoel TSX 46 (HVLP) is suitable for heavy loaded hydraulic machines of the industry, for earth moving machines and agricultural machines. Preferred use in case of great variations of the operation temperature.